Most of you are busy parents like I am. We sometimes end up eating while on the go. Sometimes when you have a lot of stuff on your plate you don’t have time to sit down and enjoy a snack. I can’t count the times I have ate breakfast while making Noah’s lunch, getting him to take a shower and making sure he is ready for school. A snack where we sit down and actually need utensils are a few and far between. Parents end up eating a lot of bar snacks, because they are portable and easy to eat while multitasking work and parenthood. There are so many varieties out there. Most of them are geared towards kids. I like fruit but sometimes I want something more than a fruit filled bar. It becomes repetitive and boring to eat the same bar every day. I do like nut bars but again, you kind of get used to them, and Noah ends up eating them all. Even when I think I have hidden them away. 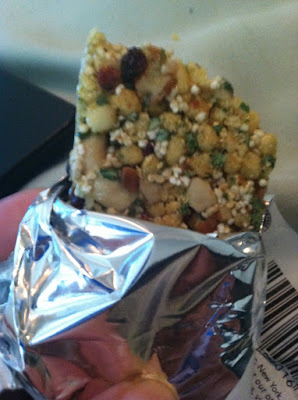 I had the opportunity to try out some bars from Mediterra. All Mediterra bars are based on the Mediterranean Diet that has been studied and noted by scores of leading scientists as one of the healthiest lifestyles in the world. Less of a diet and more of a lifestyle, the Mediterranean Diet is a way of eating based on the traditional foods (and drinks) of the countries surrounding the Mediterranean Sea. There’s an emphasis on consuming more whole grains, fruits, greens and healthy fats, and less meat and sweets. Mediterra is the first nutrition bar that's truly savory in ingredients. Like the original Sundried Tomato/Basil and Black Olives/Walnuts Savory Bars, the new Kale/Pumpkin Seeds and Bell Peppers/Green Olives flavors are low in calories and sugar. All the Mediterra Savory Bars have less than four grams of sugar with no added sugars or sweeteners. The Kale/Pumpkin Seeds and Bell Peppers/Green Olives bars have only one and two grams of sugar, respectively. In addition, Kale/Pumpkin Seeds contains six grams of protein and Bell Peppers/Green Olives five grams of protein. Rich in vegetables, nuts, herbs and seeds the bars also contain protein-rich pea crisps, amaranth and olive oil. Each Savory Bar weighs 1.23 ounces and is all-natural, non-GMO, Gluten-Free, certified kosher and dairy free. The MSRP is $1.99. In addition to the first ever truly “Savory Bars,” Mediterra also offers four other bar flavors that provide ancient nutrition in a modern and convenient way: “Yogurt and Oat Bars” in Yogurt/Oat/Cherry Pistachio and Yogurt/Oat/Apricot Pistachio flavors; and “Sesame Honey Energy Bars” featuring Sesame Seed/Pistachio/Greek Honey and Sesame Seed/Orange/Greek Honey. I really love the Savory Bars, I enjoyed three of them shortly after I received them. My favorite is the Sundried Tomato and Basil Savory bar. It is very flavorful and different than the typical bar. It’s nothing I have tasted before. I love that it has capers in it. You can definitely taste the tomatoes and basil. The capers give it a nice little bite too. Sometimes I want something savory but settle for something sweet. I also really like the Bell Peppers and Green Olives. Green olives always make me think of the Mediterranean. I love salads with green olives in them. Mediterra Bars are definitely geared towards adults. I can enjoy these any time. Noah tried the Yogurt and Oat bars. He is really picky so he asked to try a bite, and then asked me for the rest. I sometimes don’t tell him what’s in it because sometimes it can be something he would be unsure of. His favorite is the Yogurt/Oat/ Cherry Pistachio Bars. He loves anything with cherries in it. Another thing I really like is that Mediterra Bars are not hard. I have a habit of breaking up finger foods to enjoy it longer. I have already told my mom and sister about them. They are both really interested in trying them. My mom asked me to save her one. It will be hard but I think I can accommodate her request. My mom does everything on the move, she’s a teacher so she rarely has time during the day to eat. I can definitely see her enjoying Mediterra Bars while she has lunch duty or while she is working on an IEP. Mediterra Bars would also be great on road trips or in the car line at your child’s school. I love that a store a couple miles from my house sells them. So, now I don’t have to worry about saving her one if I get the craving because I can just run over there and pick some up. Actually, my best friend is the meat manager at that store so he would probably just bring me some if I asked. Mediterra Bars are in several different stores in my area, so it wouldn’t be hard to find. I would probably get them at the store my best friend works at, just so I can see him at work. 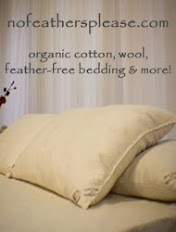 For more information, to find where to buy or order online please visit Mediterra.